A Half Pound (8 oz.) 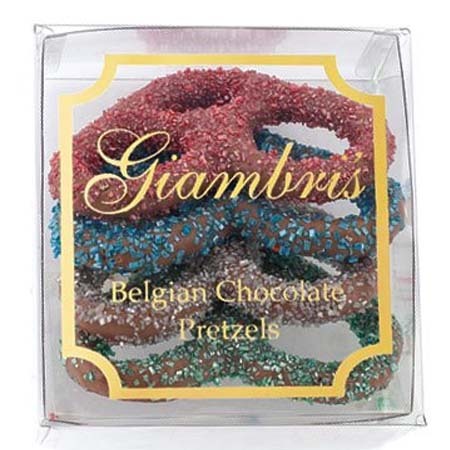 of our two ring Belgian Dark Chocolate Pretzels in a Giambri's gift bag! we love them as my recent email stated. 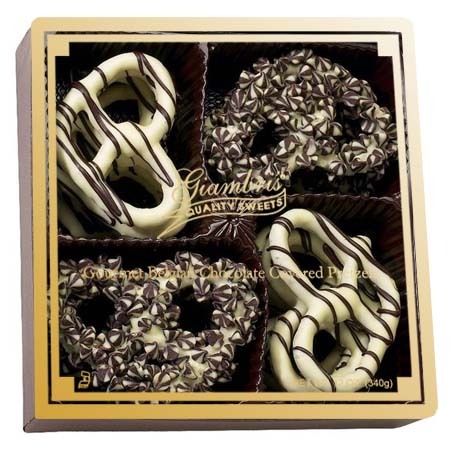 They are the best dark chocolate tasting items anywhere. We have consumed almost the first bag which arrived just days ago. Maureen and I watch our health conscious but are crazy for your stuff. 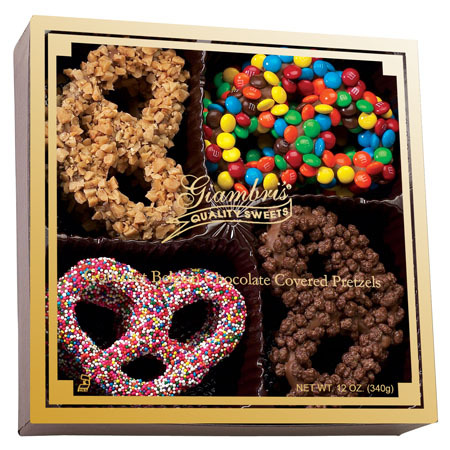 We will continue to purchase and try other chocolate products. 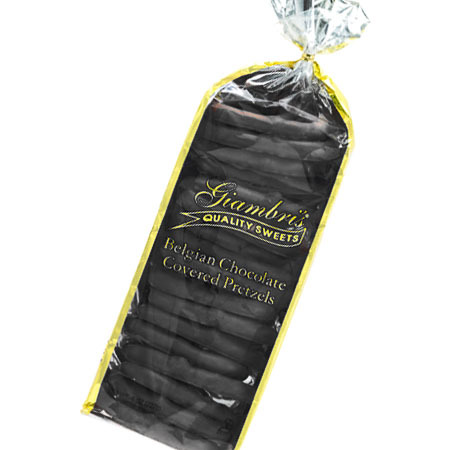 Superior quality, great tasting chocolate.